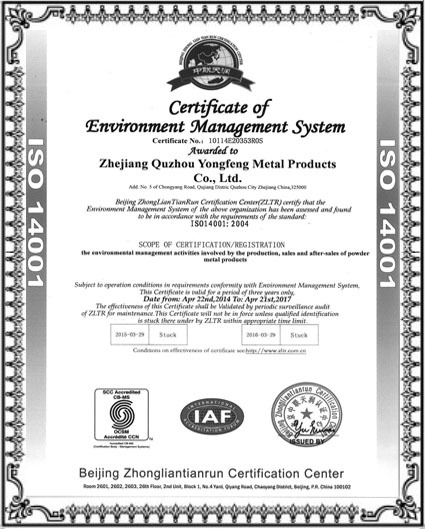 Quzhou Yongfeng Metal Products Co.,Ltd, a manufacturer who is specializing in Powder Metallurgy Products, located in Quzhou city, covers an area of 20000㎡ which includes a building area of 18000㎡. 1969, founders started with an iron workshop to produce metal parts. 1989, because of Chinese economic reform, the workshop transformed from public owned into private owned, using the name “YONGFENG POWDER METALLURGY PRODUCTS PLANT”, and entered into the powder metal market. 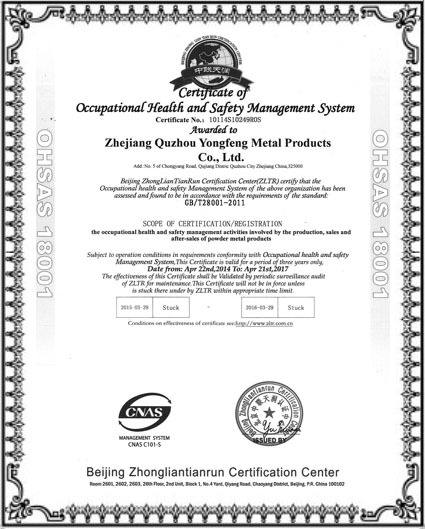 2001, we introduced the joint stock system, changed the name to be “YONGFENG METAL PRODUCTS CO., LTD”. Since then “YONGFENG” became a joint stock company. 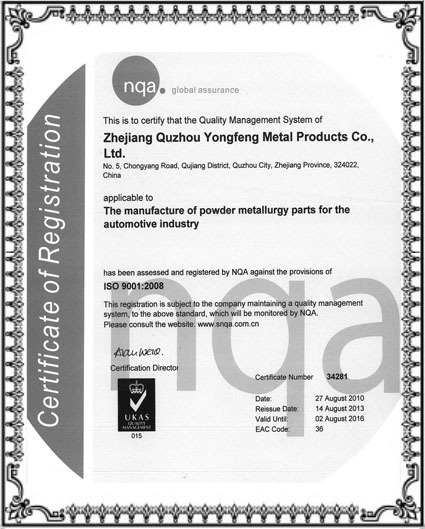 2007, factory moved from Wenzhou City to Quzhou city, started as “ZHEJIANG QUZHOU YONGFENG MATEL PRODUCTS CO., LTD”. After almost 50 years’ hard working, now our plant has 180 employees including 15 medium and senior technicians. We are the biggest enterprise in west area of Zhejiang province and east area of Jiangxi province. We have first-class sintering production lines. Our pressing machines cover 500T, 300T, 160T, 100T, 60T, 25T, 15T to meet different customers’ demands. Our main products include sintered parts for water pump, oil pump, belt tensioner and timing system like gears, pulleys, rotors, oil-less bearings, valve guides and other structural parts which are widely applied to automobile, motorcycle, home appliance and agricultural machine business. We have strong technical knowledge, complete testing method and perfect management system. 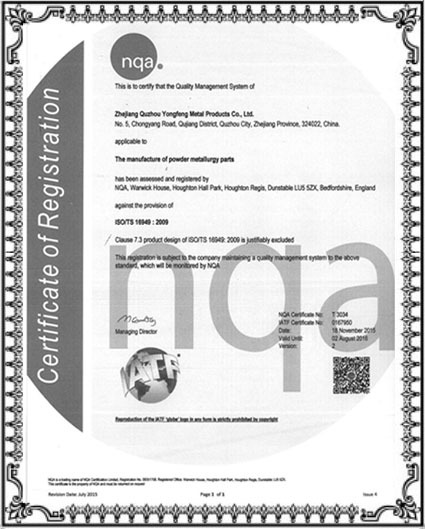 We have passed TS16949, ISO9001, ISO14001 and GB/T28001 since 2001. 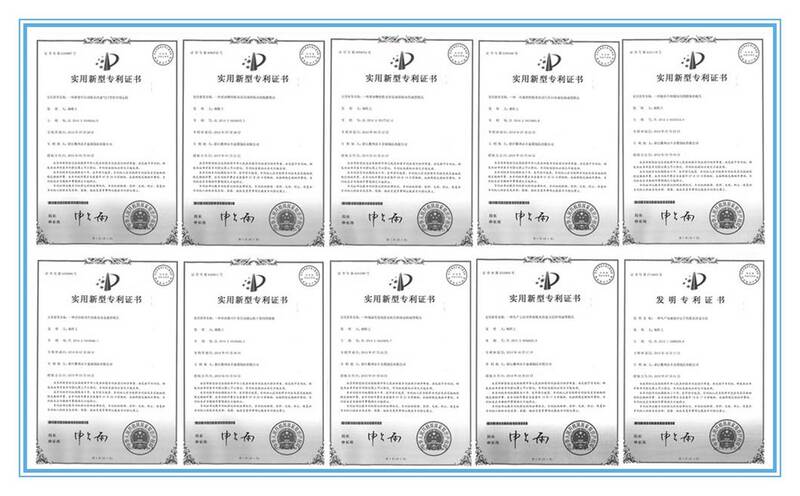 And we have more than 10 technical patents for our own designs. Now, with high-quality products and good customer service experience, we have established great businesses with many customers all over the world. We warmly welcome you to contact us anytime and hope to build the longtime relationship with you.